One word that describes the New York Mets this offseason is proactive. 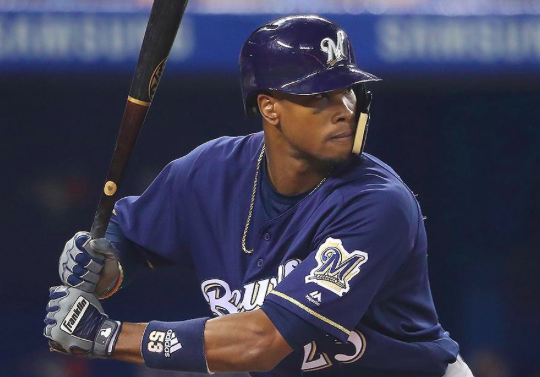 That continued on Saturday when they pulled off a trade with the Milwaukee Brewers, acquiring center fielder Keon Broxton. In exchange, the Brewers have received reliever Bobby Wahl, minor league pitcher Adam Hill, and minor league infielder Felix Valerio. Broxton is a classic athletic center fielder who is strong defensively but yet to put it together offensively. He had a semi-breakout season as Milwaukee’s primary center fielder in 2017, hitting .220 with an OPS of .719. However, after the Brewers added Lorenzo Cain last offseason, Broxton had a diminished role in 2018. He also hit .179 with an OPS of .691. Now that he’s out of options, the Brewers were looking to move him this winter and the Mets stepped up as a suitor. Broxton bares a similar skill set to New York’s Juan Lagares. Both are brilliant defensively but not always reliable offensively. Lagares has also had trouble staying healthy during his career. With Yoenis Cespedes questionable to play at all in 2019 and Jay Bruce traded away in the Robinson Cano trade, the Mets were in the market for a right-hand hitting outfielder this winter. After spending money to fill other needs, Broxton appears to be a cost-efficient solution to that vacancy. As it stands, Lagares and Broxton may be competing to be the primary center fielder in 2019. Broxon could also give the Mets a potential platoon partner for either Brandon Nimmo or Michael Conforto when the club faces quality left-handed pitchers. Long-term, Broxton is under team control through the 2022 season whereas Lagares will be a free agent following the 2020 season. If he’s able to bounce back from a rough season, Broxton could be a long-term asset for the Mets. As for Milwaukee, Ben Gamel figures to be their fourth outfielder in 2019, leaving little need for Broxon. Gamel was just acquired in the trade that sent Domingo Santana to the Mariners. With Cain, Christian Yelich, and Ryan Braun entrenched in the outfield, there isn’t a huge need for more than one reserve outfielder. Of course, the Brewers also add Wahl and a couple of prospects in the deal. Wahl could have a tough time earning a spot in Milwaukee’s stacked outfield. He also gave up six runs in just 5.1 innings with the Mets last season. However, he’s been dominant in the upper levels of the minors. Meanwhile, Hill could have big league potential as a 4th round pick in last year’s draft. Valerio is an 18-year old infielder who spent last year in the Dominican Summer League. In the end, both teams should be pleased with this trade. The Brewers didn’t need Broxton, but the Mets will be glad to take a chance on him. Of course, there’s no guarantee the Brewers will get much out of the three players they acquired. However, both Wahl and Hill could end up being big league contributors. Ultimately, time will tell if a change of scenario and more of an opportunity to play can help Broxton get back on track and turn his career around.